My best friend Tania, entered her first ever challenge today which happened to be the latest ColourQ challenge below. I loved the card she made, she is so talented and she inspired me to make a card too. Hopefully it is the first of many for her, they are so much fun! This is what I made.... The colours are actually a closer match than they look in the picture. 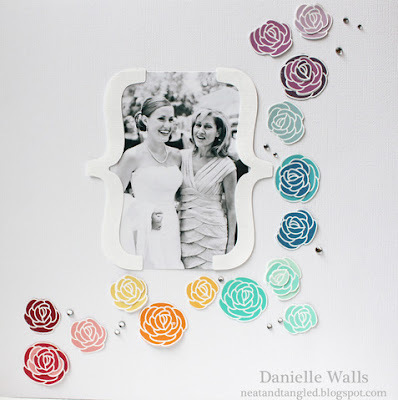 I was also inspired by Danielle Walls on the Lawnscaping Challenge blog, I love her scrapbooking layout below, just gorgeous. 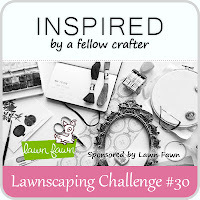 I am also going to put this card in the latest Lawnscaping Challenge #30, inspired by a fellow crafter. 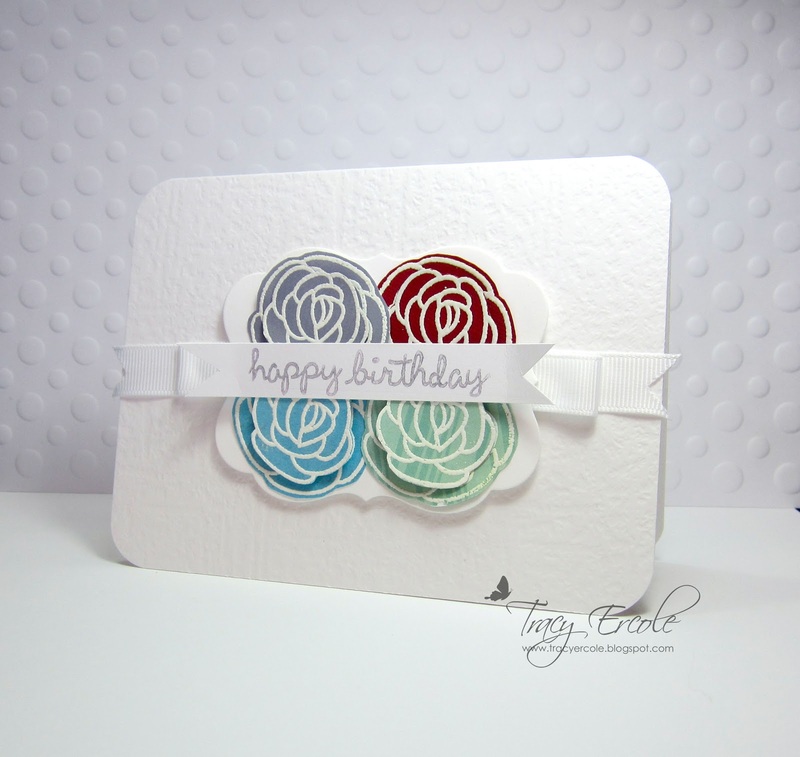 I am also going to put it in the Lilypad Cards, Simon Says Stamp Present A Flower Challenge. Awwww thanks for the mention ;o) , I love this card, so pretty !! As you can tell, Tracy, I also nominated Anne-Marie for a Liebster Award, and cut and pasted the wrong bit! Your blog is definitely one of my 5 Liebster nominations, even though I'm stupid and put Anne Marie's name in this comment! I'm a doofus! Sorry!! Lovely card, Tracy, pretty flowers. 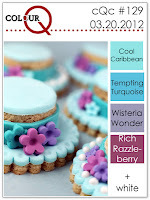 thanks for joining us this week for the ColourQ challenge. So beautiful...love everything about it..
Oh this is stunning! I love your inspiration and what you created! The colors are fantastic against the white background! 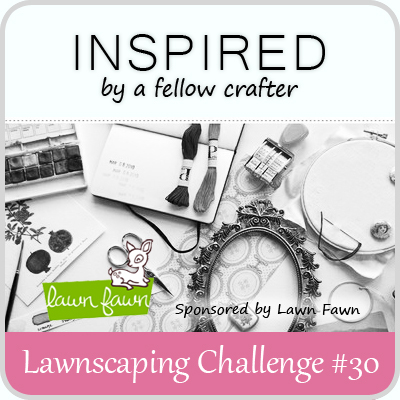 Thank you so much for joining us at Lawnscaping this week! Tracy! Thank you so much for turning Tania on to challenges - LOL! Love your sweet card, great use of the colors! Thank you so much for playing along with us this week at the colourQ!